Regular, constant prayer is an absolutely essential and indispensable part of the Christian life (1 Thessalonians 5:17, Philippians 4:6). Without it, a follower of Jesus will rapidly grow cold and stagnant and have no continuously, deepening relationship with God. Unfortunately, even with a daily habit of prayer, we sometimes only focus on a laundry list on items that we want God to do for us. Yes, we can pray for people who are mostly in our personal circles. 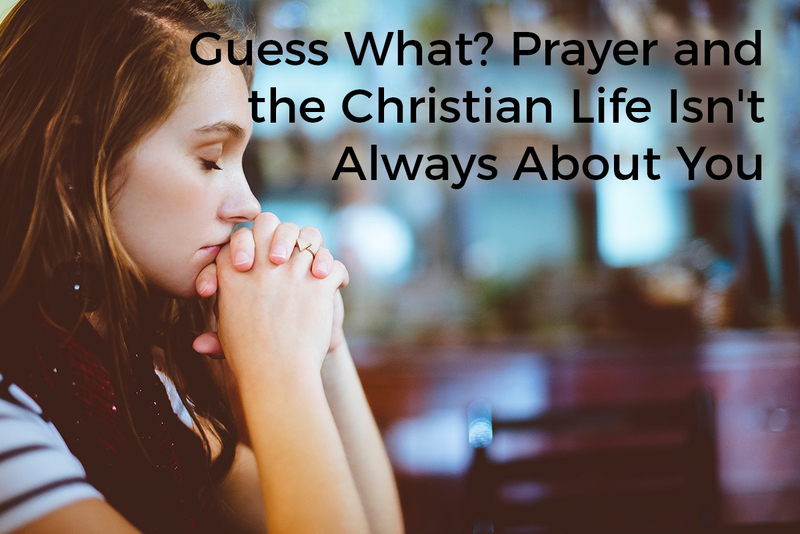 But you have to admit, many of us (myself included) grab the spotlight in our prayer requests and act like our Heavenly Father is some sort of a ridiculous, celestial genie living in a magic lamp in the sky who is only there to primp our delicate egos and prevent us from having a trouble-free lifestyle. Our invocations to Him can be jammed-pack full of self-serving requests for our own blessings, our own prosperity, our own financial security, and our own fleshly cravings. We plead to God to heal us “now,” to reveal His will for our lives “now,” and to train us up right “now” to full Christian maturity. Well, that’s not how this works. This is not to say that God will never give you things that are near and dear to your heart. The often-quoted Psalm 37:4 [NIV] states, “Take delight in the Lord, and He will give you the desires of your heart.” But the first part of that proclamation is the most important of the verse; we are to delight in, take pleasure in, glorify, love, and celebrate God with every part of our beings. Only when we fully immerse ourselves in Him and His holiness will we have the correct perspective in life and have the right desires in our hearts. It is when you have the aforementioned course correction that you will be taught one of the biggest lessons in the Christian life: that it is not all about you. Your prayer life, your concentration, your focus, where you place your love…it is all elsewhere. Nothing could be further from the truth. Our Lord God Almighty – the Father, Son, and Holy Spirit – is the undisputed Headliner in this story. Yes, he may use us at times as instruments to accomplish His will on Earth, but make no mistake about it; our Creator alone deserves the full spotlight. Once you realize this and surrender to it, you will soon find out that He will use you to serve other people, pray for other people, and put other’s interests before our own. In the context of God’s grand and perfect plan, we will discover that we are often supporting players in OTHER people’s stories. God will use us to answer other’s prayers and minister to them. Frequently while we wait for our own prayers to be answered, it may seem like there is no movement or communication from the Spirit on own issues. But often God will use these “dry spells” to have us shift our attention off of ourselves and instead place it on those around us. Don’t consider these as “down times.” Some of the Lord’s best sanctifying, transformative shaping of our hearts takes place because we truly learn to love in action towards everyone else. God can and will use these times to work on our own character while helping out other people, just as when others might have assisted doing God’s work with you in the past when you were in a tough jam.